BP has cut its IT suppliers from 40 to five in what it says is a drive toward simplicity, standardisation and efficiency. The oil and gas company has consolidated its IT for application development and application maintenance over the past 12 months. It announced a series of contracts yesterday, which it claims will save $500m over five years. Accenture takes on a five-year contract to provide BP with application development services - in particular, its SAP system. IBM was awarded a five-year contract to manage and run all of the oil giant's enterprise applications and integrated service desk responsibilities. Wipro has entered into a five-year agreement with BP to provide IT applications development and maintenance services for BP's fuels value chain and corporate businesses globally. 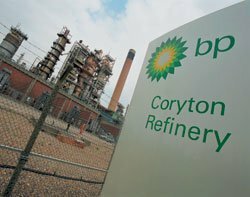 TCS takes on BP's refining, manufacturing and corporate IT maintenance work. InfoSys will provide IT application development and maintenance services for BP's integrated supply and trading and exploration and production businesses.